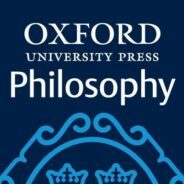 The OUP Philosophy list boasts cutting-edge scholarship including monographs handbooks and textbooks - suitable for graduate and undergraduate use, as well as journals articles, online articles, and a collection of scholarly editions. For the latest news, resources, and insights from the Philosophy team, follow us on Twitter @OUPPhilosophy. This October, the OUP Philosophy team honours William Godwin (1756–1836) as their Philosopher of the Month. Godwin was a moral and political philosopher and a prolific writer, best-known for his political treatise ‘An Enquiry Concerning Political Justice’ and ‘Things as they were or Caleb Williams’, a political allegorical novel. Born in East Anglia in 1756, Godwin came from the family of Religious Dissenting tradition and was trained to be a minister, following in his father’s footsteps. He had a change of heart and embarked on a literary career, espousing Enlightenment ideas. In 1796 he married Mary Wollstonecraft, the first major feminist philosopher and the author of A Vindication of the Rights of Woman and their daughter Mary Shelley, the famous writer of the gothic novel, Frankenstein, was born the following year. Godwin was a key figure in the British radical republican milieu. An Enquiry concerning Political Justice, published in 1793, established him as a proponent of philosophical anarchism. It was written during the British crisis in the 1790s when liberty and the questions about the sacred, natural rights of man were on everyone’s mind. Godwin argues that governments should be abolished since they oppress and infringe liberty. Society can only progress if states encourage people to decide and think for themselves on the best course of action. In doing so, their minds and capacity for rational judgment would develop. Godwin argues that mankind has the potential for achieving perfection and this depends on the liberation of the human mind and the removal of authoritarian and irrational institutions. Thus there would be no place in society for state interventions, laws, punishments, or any other forms of political and social controls. Because of his belief in human perfectibility, he even speculates on the possibility of immortality and the elimination of illness and ageing. The book is also famous for its controversial ‘fire cause’ passage in which he asks his readers to choose between the archbishop Fénelon and his chambermaid. If both were trapped in a burning room where the archbishop was writing his great work ‘The Adventures of Telemachus’, and we could only rescue one of them, should we not save the life of the former who will produce the greatest possible benefits for society? Even if chambermaid turns out to be someone dear, a wife, a mother, and a benefactor, Godwin argues that justice would require that we save the life which is more valuable. Enquiry was a success upon publication and established his reputation as a philosopher and a writer. Godwin was revered by the first generation of Romantic poets such as Wordsworth, Samuel Taylor Coleridge, William Hazlitt, and Percy Bysshe Shelley. The book’s ideas would later influence the works of philosophers and thinkers such as Marx, Thoreau and Kropotkin. Featured image credit: Caspar David Friedrich, Mondaufgang am Meer, Moonrise over the Sea, 1822. Public Domain via Wikimedia Commons.